Last October I suddenly quit my job. Realizing that the past 6 years with this company was changing who I was. The negativity of the workplace was sucking the life out of me. I was becoming one of the negative employees I once complained about. Not someone I wanted to become. Was it scary, just quitting without a plan in place? You bet it was! Anxiety & Depression took over my life for a couple of months until I just woke up one morning and said. “I don’t want to feel like this anymore” So I had a choice to make, stay stuck or pull myself up out of this frame of mind. A choice, something we all have. This is when I realized the impact of choice and attitude on my life and how important it was to surround myself with positive, happy people and to make time for more things that made me appreciate the world. Spending time exercising and helping others have helped me boost my moods and put me in a better frame of mind. Working at developing a good attitude is so worth it! It has helped me to improve my health, my happiness, and I believe it will help me live a longer life. Is it easy? I’m not saying it’s easy, but what I am saying is if I can do it you can too. It’s a choice! Become aware of your thoughts, when you have a negative thought try to replace it with a positive thought. It takes some time, but what do they say? It takes 21 days to form a habit. 21 one days, give it a try. 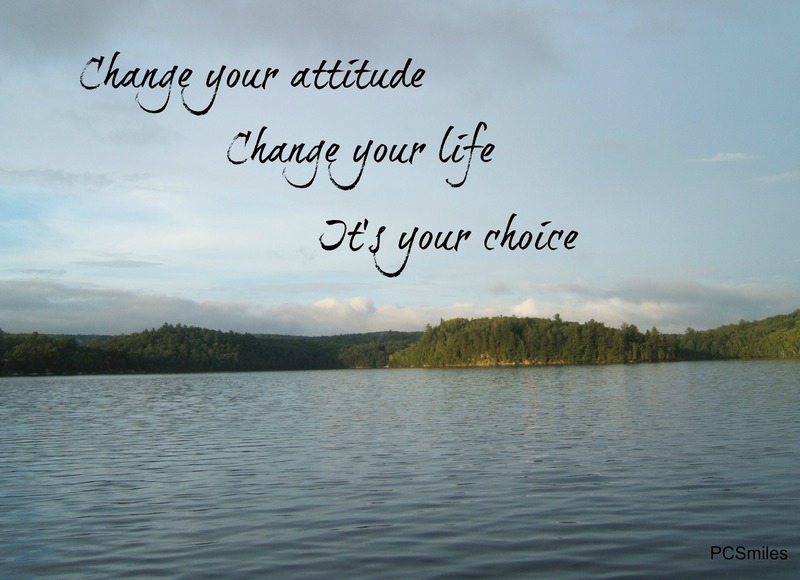 Choose your attitude, change your life! Since implementing this mentality my life has improved dramatically. My health has improved. My anxiety and depression have disappeared and I have made the choice to stay aware, to practice mindfulness and to only allow people into my life who are good for me and have a positive outlook on life. I’m at a time in my life more than ever before where I can say “Life is good” I follow my heart. Here’s hoping this gives you some inspiration if you are stuck. Starting the day off with a positive quote every day is a great way to reinforce positive changes in your life! Today I am excited to share with you my newest endeavor. 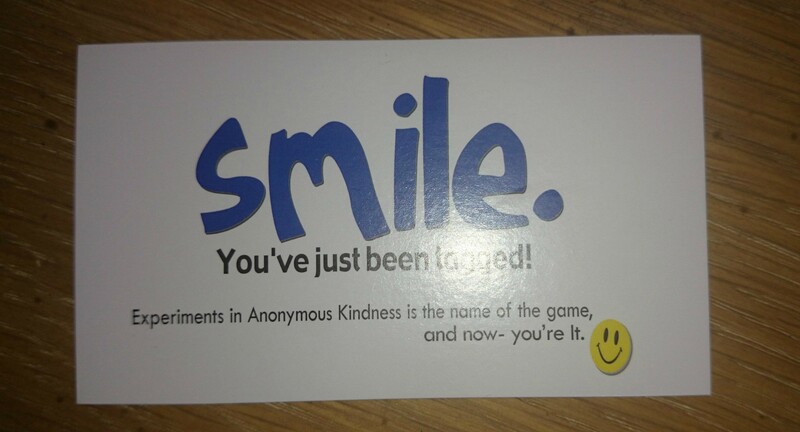 I have just received my Smile Cards in the mail and am so eager to start using them. What is a Smile Card you ask? Well that’s exactly what I wanted to know when I first heard about them. So me being me, I googled it and to my amazement I found this wonderful website called Kindspring. It explained everything I needed to know and so much more. I am a firm believer that everything happens for a reason and just as I am taking this journey to find the best of me, I come across this. Go figure. Awesome self-improvement tool! I have 10 cards to pass around as I play this Pay-It-Forward game. Starting today September the 30th I will do an act of kindness for 10 straight days and leave a card behind inviting the recipients to pass them on! I will be sure to fill you in on my acts of kindness and the responses I get. Should be interesting. I’m most certain some people will look at me strange, but I’m also most certain it will make them smile. If you want to start your 10 days of kindness you should visit this website, order your cards or download them. Just receiving the cards in the mail put a smile on my face! I decided to start blogging because I have always been best at getting my thoughts and feelings out on paper. The person I am comes through in the words I write. If by blogging about my life, my struggles and my journey, can keep me positive, focused and inspire even one person out there to see that the journey to a happier, positive you begins with you and one small step each day. So worth it! We all struggle with something at some point in our lives. It’s these struggles that make us stronger. 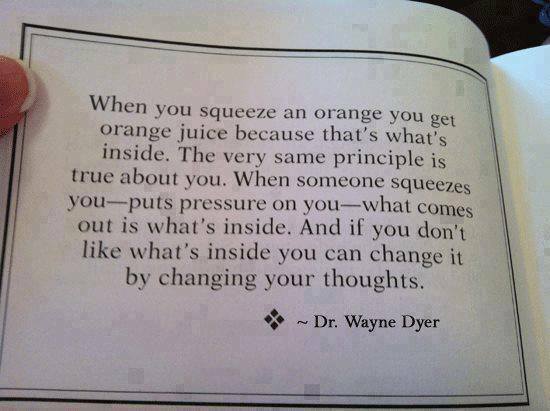 Changing your thoughts, changes your attitude,changes your life! What one small step have you taken to a stronger you?